← Dinner Under the Stars Compliments of Chiquita! I manage Pilcher Park Nature Center as well as write grants for the Park District. Pilcher Park Nature Center is a big log cabin in the woods where we see 15,000 children a year at the Nature Center for Nature Field Trips. We have 640 Acres at Pilcher Park which gives us lots of room to roam around and explore. In the state of Illinois there are only 58 acres of prime upland forest and we have 52 of them in Pilcher. We have a glorious array of wildflowers in Pilcher so if you haven’t come out to the park this is your official invitation. All of our Field Trips are matched to the State Standards so that by coming out to the Nature Center you can cross something off the list of things to teach for the year. We do field trips for children of all ages. We have an animal adventure field trip for preschools where we have you pick an animal …….. say a turtle……….. and we read a turtle story, bring a turtle out to pet, show you our turtle pond, do a turtle craft. We can also do this at your school minus the turtle pond. We do a couple of big festivals a year at Pilcher Park that are highly attended Community Events. 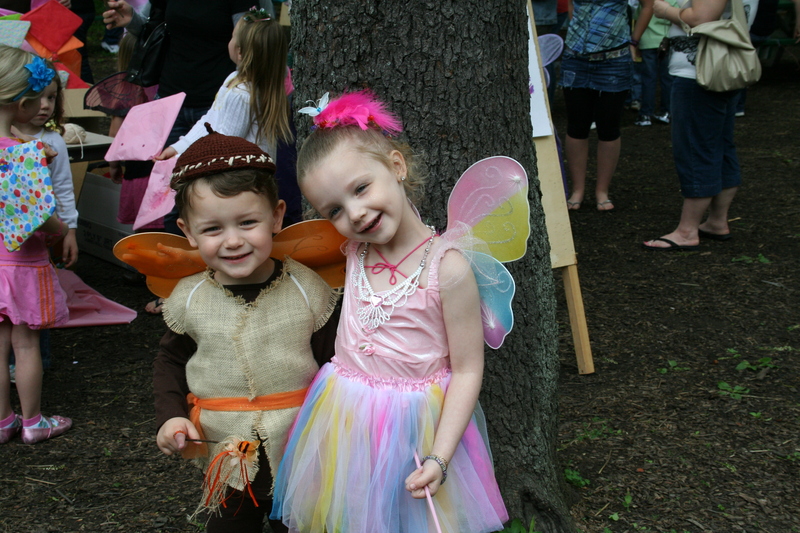 The Pioneer Fest and Pancake Breakfast and the Fairy Fest are our two most successful. Now that I have given you my plug for Pilcher Park and the Nature Center in general I will give you a little background on why I am so excited about play in nature. My interest in Play in nature began with a speech I heard in 2002 by two men who are now very good friends of mine, Ken Finch and Gordon Maupin. 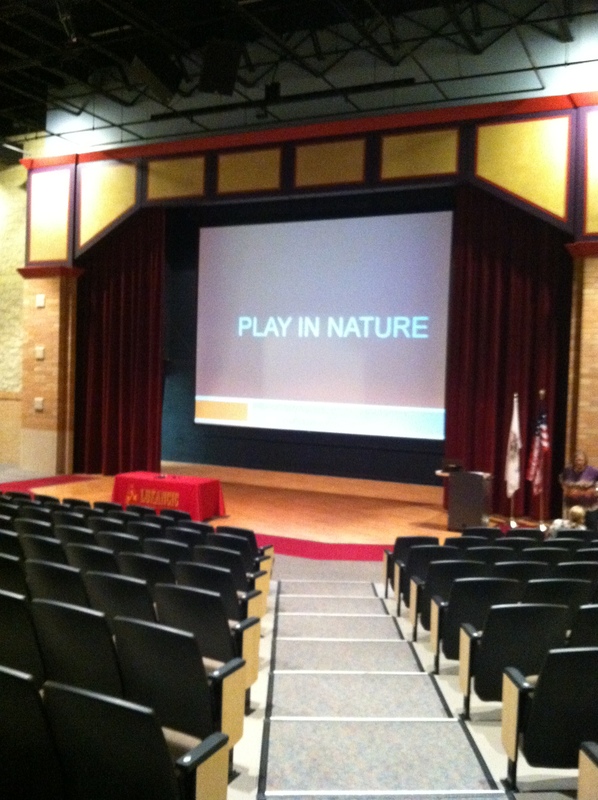 The speech was given at an Association of Nature Center Administrators Conference in Wilmot, Ohio. The topic of the speech was that even though we are seeing large numbers of children for school field trips as environmental education facilities, we are still failing to get the concepts of true environmentalism, conservation and the love of nature across to the kids. They come out to our parks for an hour or a day for a field trip, we impart all of our enthusiasm for nature to them that we can in that period of time and they go home and spend the rest of their lives either in front of the TV or on the computer……….never entering a forest again in their lives. One of the reasons is that children today are having an EXTINCTION OF EXPERIENCE. 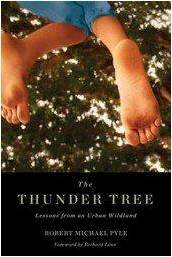 The term Extinction of Experience comes from a book called The Thunder Tree by Robert Michael Pyle and was quoted from by Gordon and Ken in that first speech I heard. That book resonated with me so much I used to buy the book by the dozen at half.com and give them out to anyone who would show a tiny bit of interest. My husband said giving the book away was my HOBBY. I think I am down to my last copy. Bob Pyle is a very interesting guy who was one of the first ones to contend that children were missing their childhoods as we used to know it. So Ken, Gordon and I kept discussing the topic of what at that point we were calling Play in Nature in classes, talks and speeches. We would meet at ANCA and talk about it amongst ourselves. The next year after that first big speech our ANCA conference was in Washington State at Islandwood Nature Center and Bob Pyle was our Keynote speaker. He had us go around a room and tell about our first experiences with nature. What was our sacred space or earliest memory. There were lots of stories about strange things. One girl said she used to inject worms with bactine. Lots of us caught and imprisoned some animal or another. Mine was a box turtle named Antiquy food eater who was made to live in the window well of our house in Martinsville Indiana. I have so many other memories of playing outside. We always went to an island ( gilligans island) in Lexington Ky, we would play there all day. Sadly – the last time I went there that creek had been captured and put into a culvert. Perhaps…………if the people in the area…….had actually LOVED nature the way I did as a kid they would not have put a concrete casing around my favorite creek…..We used to build forts and tree houses, I still have a scar from defending my tree house and having to get 7 stitches. We explored everything in our sights. We made up games and caught lightening bugs at night and squashed them and made jewelry out of them! 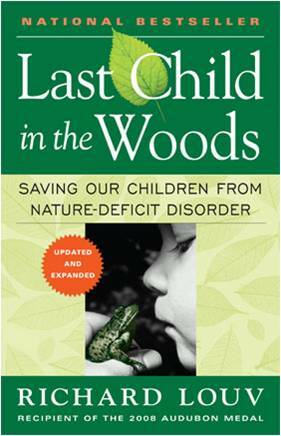 In 2005 Richard Louv published his best selling book: Last Child in the Woods Saving our children from Nature Deficit Disorder! I have to say …………….. when I first saw the book and started to read it I thought he had stolen our idea! At least Bob Pyle’s idea. I didn’t like him very much for the first 10 minutes he was around! As it turned out he had been thinking about this for quite a while. He wrote an article in 1991 called Children’s Future. Right around that time Ken Finch started a non-profit called Green Hearts Inc. a non-profit organization dedicated to restoring and strengthening the bonds between children and nature. Then Richard Louv had his first grassroots gathering in Virginia at the National Conservation Training Center. It was invitation only and Ken and I were invited. I have done quite a bit of research trying to find actual studies instead of just anecdotal evidence that document the benefits of play in nature to prove that this is as important as I feel it is. All of us in the Nature Business have the FEELING that nature is good for us but where is the proof? One name that kept coming up was Louise Chawla. Louise is a researcher who used to work at University of Kentucky but now is at University of Colorado. 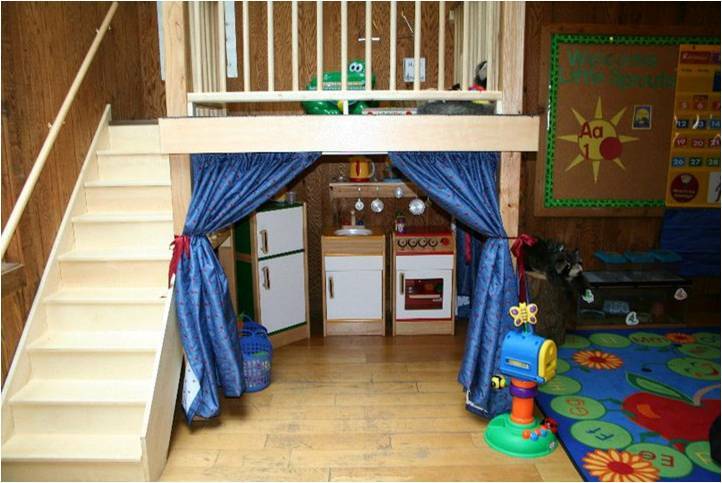 She has written many articles on children and their play spaces. 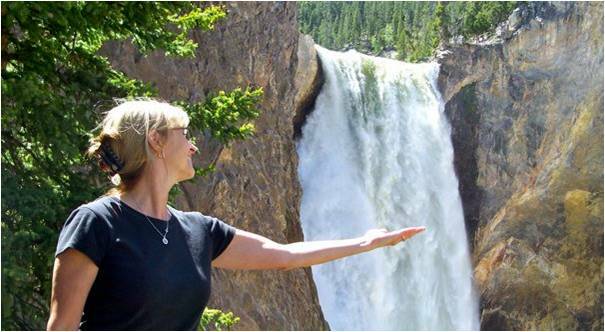 She believes that children have to have sustained contact with nature to learn to love it and she has done research since 1988 to prove that point. A lot of things have happened in the last 30 to 40 years to change the look of childhood. 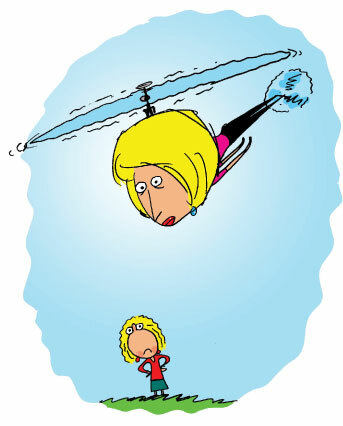 First is the phenomenon of Helicopter parents. You know the ones. They hover over their children never letting them make a decision for themselves. Never letting the children out of their sight. Constantly connected to them. 10 year olds with cell phones. WE are all connected. All the time. You would think that would make us feel safer but no. The more contact it seems the more fear. My Mother who is 86 ……….says she walked to and from school without a cell phone and never worried and she says she didn’t live in a good neighborhood like the ones strive for today. Actually she says she walked to get beer at the bar down the street for her Dad and sat under the street lamps at night talking to her friends. There is a very good blog about this called FREE Range Kids. A little to the left for me occasionally and a bit subversive at times but really thought provoking. And that is my goal here to ask the question???? Is this a good thing? What happens if there is a terrorist attack? Will any of us/them survive??? 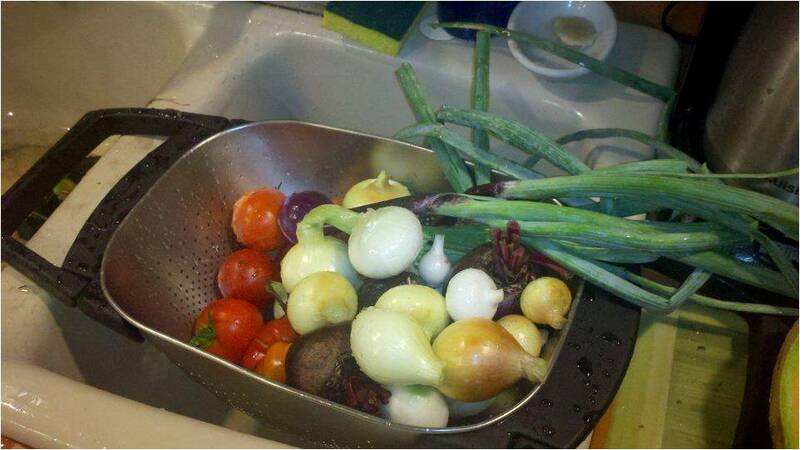 How many of us can grow our own food the NATURAL way? Children learn so much from gardening. My husband and I, along with our friends joined the Joliet Park District Community Garden this year. 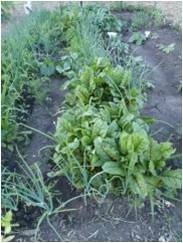 We grew BEETS, Tomatoes, squash, cant elope, onions, Bok Choy ( which in my opinion we will NEVER grow again, ) swiss chard and Dinosaur Kale that my Grandson and I bought at the Field Museum on volunteer night. We used it to make Kale Chips. Along with these my Grandson Christopher grew Snake Gourds and Dragon Gourds. They are HUGE! The squash bugs got most of our squash but not the stuff Chris Planted. Our friend has three kids who spend lots of time at our house. Flynn the youngest decided this summer he LOVES BEETS! He ate so many he pooped RED. Then begs every time he is here to go to the garden to pick more. So next year his mom is getting a plot for them. I think Gardening is the BEST way to teach children nutrition and play in nature. Video games are another phenomenon we could never have predicted 30 years ago. Now I am not here to knock technology. I am one of the most facebook addicted people you will ever find. I have nearly 10,000 followers on twitter and write a blog called play in nature. I LOVE technology. And I will talk to you a little later about how and why you should tap into those resources too! I would love to give a speech on social media for teachers someday! Anyway, as I started to say………… play has changed. How many of you would go out and play in the morning and not come home until the street lights came on? How many of you played outside as a kid and made up your own games? That just doesn’t happen anymore. Or at least it rarely happens. Parents are afraid to let their children outside alone. CNN and other 24 hour news networks make it seem as if it is a VERY DANGEROUS world out there. My husband says Perception supersedes facts. But when you spend your time with informed people who watch the news and talk about the news etc.etc…. it SEEMS like it is much more dangerous than it really is. Another change is that now most families have two parents who work. The children are left alone at home in the afternoon and told to stay inside and lock the doors. They are told to call mom or dad when they get home and not to leave until the parents get home. So mom and dad buy them X Boxes and Movies and other video games to entertain them while they are home alone. Then when parents come home they feel guilty and then they take children from one organized sporting event after another. These children are either alone or super programmed. Oddly enough in the last 10 years there has been the largest number of children ever signed up for organized sports and the largest increase in childhood obesity. Another interesting fact is that Kids free time dropped by 38% between 1979 and 1999. There have been several great strides made in the Bring Nature Back to the Kids Movement. There is a bill in the senate right now called No Child Left Inside. Honestly it seems a bit lame in that it really just sets aside money to have kids go on field trips outside in the same old manner we are contending doesn’t work now. But there is also funding out there for some very cool innovative projects like our Kids n Nature After School program. 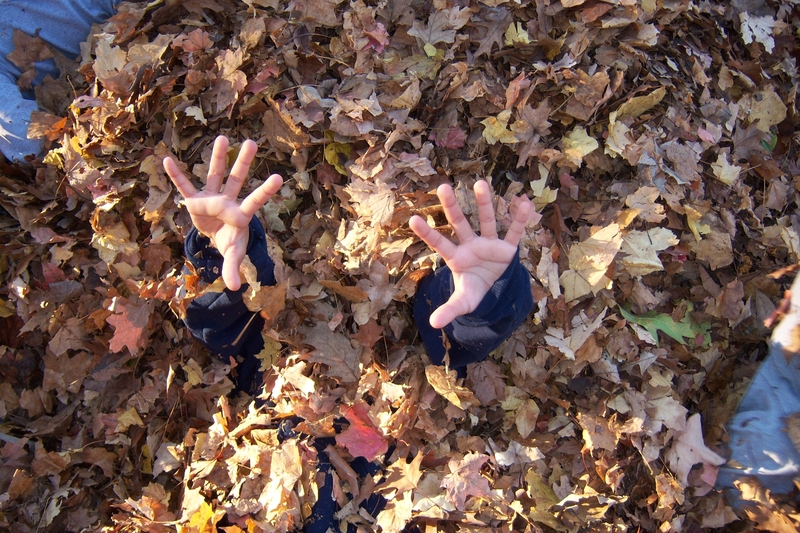 Nature Preschools have started to emerge in the United States. I had a very dedicated staff member in Cathy and she made it her mission in life to make sure this program was opened and that it thrived. She is definitely the force behind the success of Little Sprouts. We had been dabbling in children’s classes for years. We had nature babies, nature tadpoles and green frogs classes. We didn’t have a perfect building or the money to retrofit one to make it conform to the regulations that have to be adhered to for a customary preschool. So our days are shorter than they would be for a preschool and our sessions are CLASSES under the park district format. They are essentially a monthly class that is signed up for 9 times. We have Monday, Wednesday, Friday, classes and Tuesday / Thursday classes in the morning and afternoon. 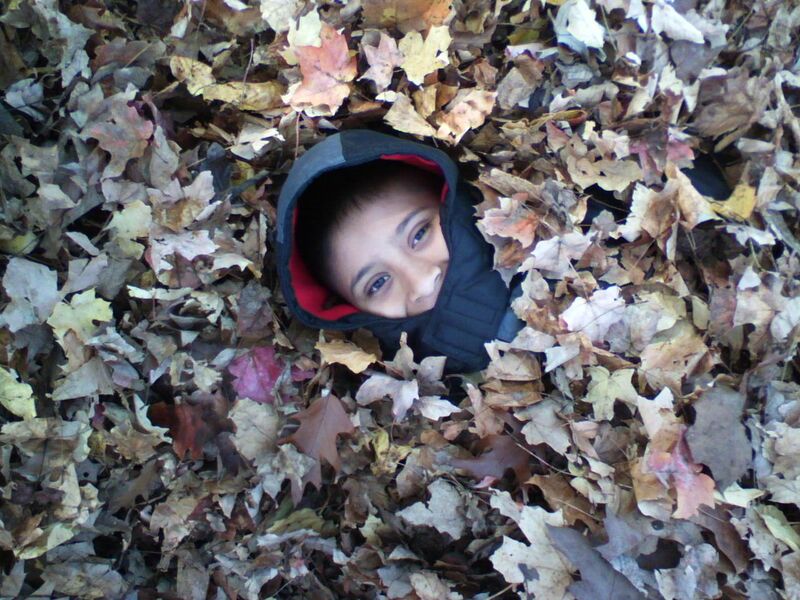 We use nature as our curriculum. We use our 640 acres as our classroom as much as possible. We do have a classroom but we try to stay outside 75% of the time. If it is a beautiful day we might stay out longer. I happened to get an email from Cathy yesterday that I want to read to you. This was sent from her to a local newspaper and she just cc’d me so I would see what she sent. I come to work every day and rarely is there a day I feel like I’m working. I love seeing the excitement in the children as they find turkey tail fungus, hickory nuts, butterfly eggs and taste the maple sap dripping from the trees as the trees wake from their winter nap. At first, some children don’t know what to do without structured playground equipment to guide them, but it doesn’t take long for their imagination to soar. A stick becomes a guitar, a pile of rocks becomes a dam in a shallow creek, a fallen tree becomes a pirate ship or an airplane, or a motorcycle. They begin to make up games of their own. I have seen shy kids blossom into confident leaders once they are outside. It’s a whole different world outside than it is sitting in a classroom. I am so blessed to have an employee who feels the same way I do about this and loves her job! She is awesome and if you ever want a tour just call us and she will be happy to give you one!!! We have outside time every day. Rain, snow or shine and discover the world of nature. It is exciting and filled with opportunities. We hike, we explore and we play. Our goal is to develop a child’s ability to work independently and cooperatively, and to act in a caring, responsible way towards the environment and the creatures, both human and non-human that inhabit it. Our classroom time is structured much like a normal preschool. We have circle time, story time, then they have a bit of free play at the stations in the room. 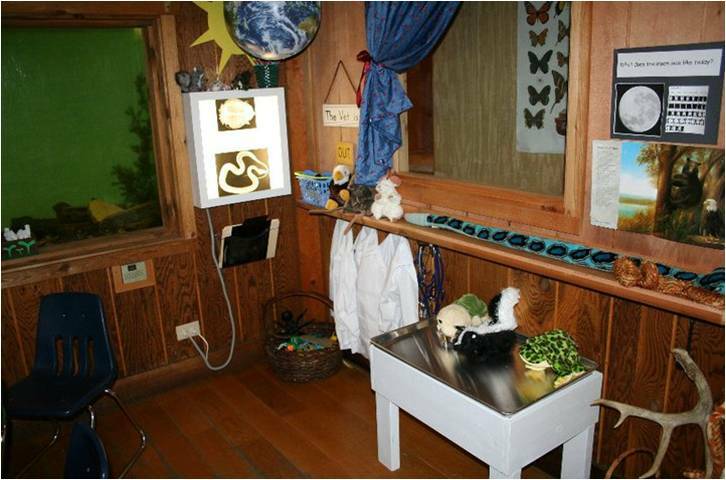 One is the craft table, there is an art area, a science table, sensory tubs and the kitchen/house area. We go over the calendar, say the pledge of allegiance and talk about our BIG WORD OF THE WEEK. Some of our big words are: nocturnal, vibration, camouflage, pollination, chlorophyll, evaporation, metamorphosis, etc. Very much like your classes ……BUT ….ours is just based on nature. 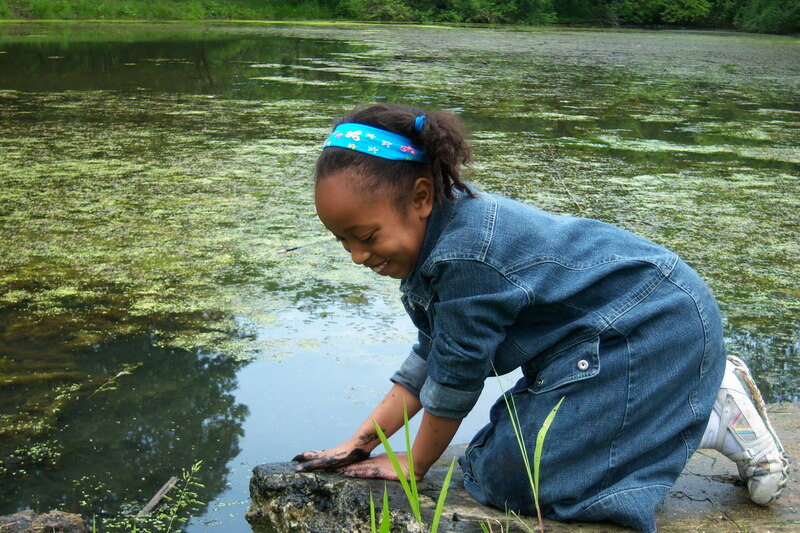 Nature buffers the impact of life’s stresses on children and helps them deal with adversity. The greater the amount of nature exposure, the greater the benefits. Ok………that is all I have to tell you about my views on Play in Nature! I love my job at Pilcher Park and am grateful every day to get to talk to people who love nature. 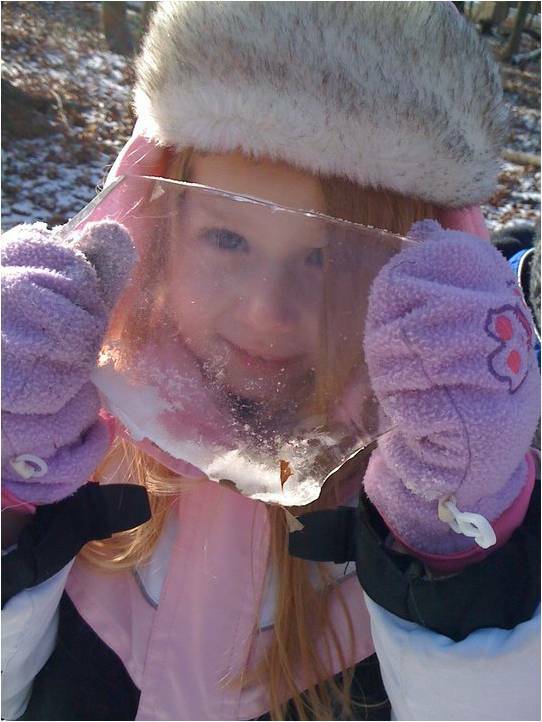 This entry was posted in Childhood, Children in Nature, Nature Play, Play in Nature, play outdoors, Preschool, Preschoolers, Uncategorized and tagged children, children and nature, Children and Youth, gardening, gardening iwth children, healthy children, Illinois, Joliet, keynote address, kids, kids n nature, Little Sprouts, nature, nature play, outdoors, outside, Pilcher, Pilcher Park, Pilcher Park Nature Center, Play outdoors, preschool, preschoolers, Richard Louv, things to do with kids. Bookmark the permalink.